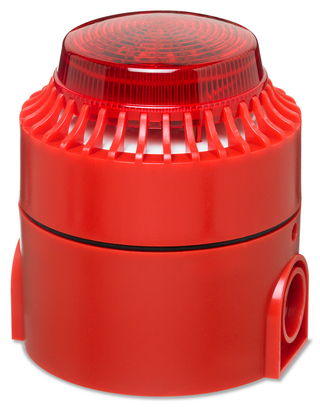 The HS200 is a sounder-beacon indicating device for fire indication systems compliant with standard EN 54-3. It emits an acoustic signal selectable from the 32 options, and have a trimmer for adjusting the volume. The luminous signalling is performed by means of high-efficiency red LEDs.